folder. The %LocalAppData% variable expands to something like C:\Users\Ed\AppData\Local, where the italic item is replaced by the current logged-in account name. Should you navigate to that directory, you’ll find that image filenames are long and obscure, and lack extensions. You can only view those images if you copy the files elsewhere, then give them a .jpg extension. 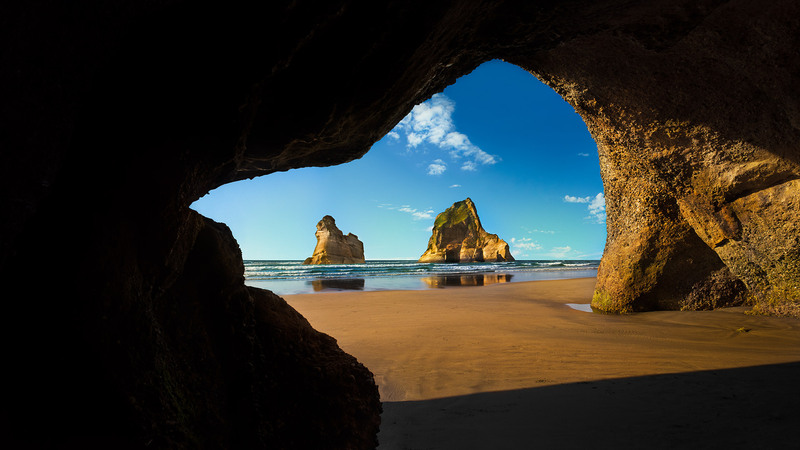 This view onto the beach from a tidal cave is familiar to many Win10 users. This involves a bit too much work for my taste, so when I read about this folder on Supersite Windows over the weekend, I started poking around to see if there was a better way to dig into this trove of beautiful large format photographs. And yes, it turns out there is indeed a tool available that can grab all the current images, add the extension, and stick them into a directory of its own making. 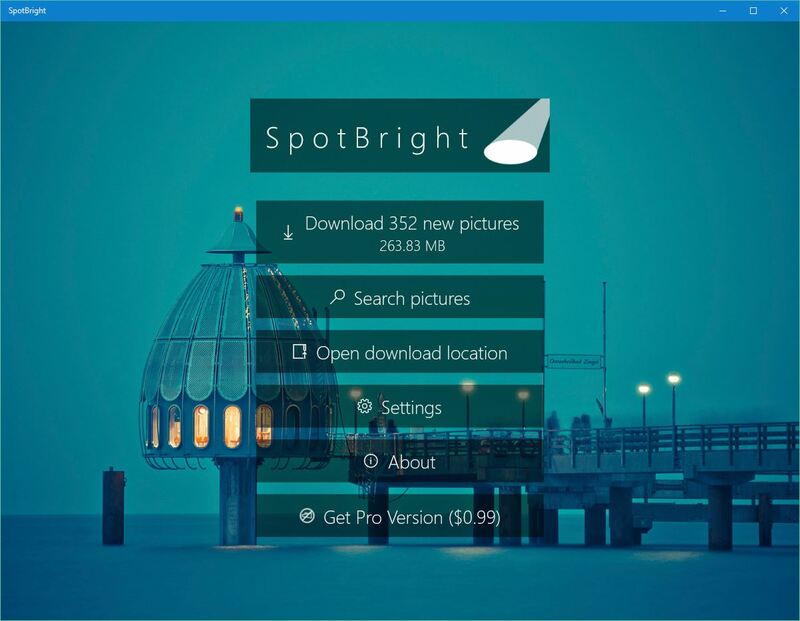 It’s called SpotBright, and it’s available through the Store by searching on that program name. The free version is supported by advertising. I purchased the $0.99 Pro version from the Store to avoid waiting for and watching the free version download ads for each screen. SpotBright is cheap to buy and dead simple to use. SpotBright is the work of programmer Timo Partl, and is currently available in version 1.2.0. It provides ready access to all of the current lock screen images available from Microsoft, but stores them in a folder named SpotBright in the Pictures library. Because that left a bunch of files on my boot/system drive (I haven’t reassigned Pictures to another drive on my system), I cut and pasted those images to another drive to reclaim the drive space. Other than that small contortion, no additional effort is needed to browse through the way cool collection of lock screen images that Microsoft has already put on each and every Windows 10 machine. I’m not sure this is actually good for anything (unless you want to use one or more those images for some other purpose) but it’s always interesting to learn and see more of Windows’ inner workings. That’s why I, for one, am tickled to find an easy way to peruse the Win10 lockscreen images using SpotBright.